We are all seeking more insight into what our customers and target markets want from us and how we can improve our website design and messaging to service those wants. It could be more content on a specific topic, more videos, a cleaner navigation, a faster website, straightforward pricing on service pages, etc. Without guessing or asking customers directly, it was once impossible to really know what the majority of your website visitors desire. If this is still the case for you, it’s time to have a come-to-Google talk. Google Analytics Behavior reports will change everything you think you know about your website visitors. From most-viewed pages and in-page click data to search terms used by your visitors, you have the opportunity to discover what content your visitors prefer and are asking from your website. Along with the great content ideas you will generate from these tools, you can also visualize how your visitors move through your website and where they are entering and leaving. Using this invaluable data helps make informed design and messaging decisions that can lead to improved user experience and conversion rates, among other positive benefits. Let’s review the reports and why you would want to use them. As the name implies, the overview report enables you to get a quick, high-level overview of many of the Behavior reports. It also presents important and top-performing data in a visual format. This report displays a flow diagram of how the majority of your visitors enter your website, such as through a landing page, and moves on to their most popular starting pages and first, second, third interaction, etc., on your website. You are also able to adjust the level of detail in the connections. With this report, you are able to see how visitors absorb content and move from page to page throughout your site. When you are able to identify how visitors flow through website, you gain a better understanding of their research processes and can determine if they are going down the paths that you would like. Are they doing what you want them to do? If not, what can you change to influence this? Add or remove calls to action (CTAs)? Rethink your internal linking strategy? Follow the paths yourself on the website to experience it as a visitor and assess the changes you should make to impact their paths. This section has four reports that tell you what is happening and how people are interacting with your website content. Shows data of your website’s most popular pages, most Pageviews, highest conversion, etc. Shows data by website section, such as the blog. Shows what page visitors land/start on for each section. Shows where people are abandoning your website. Identifying your most-visited content helps you better understand what your website visitors want from your website and, in the case of your blog or service pages, topics that interest them and what you should produce more of. The All Pages report allows you to view the Average Time on Page and Pageviews to determine which pages are the most popular, and with a filtered view (“/blog/”), you can see just the metrics for your blog. With the Content Drilldown report, it’s easy to determine website section popularity, how long on average visitors stay in each section, and if they are leaving in a certain section. This data can help you prioritize content topics and sections on your website based on popularity and interest. The Landing Pages report enables you to better analyze Bounce Rate and % Exit on your most popular landing pages. Try to always use this data as a factor in your design and messaging considerations. The Exit Pages report is especially helpful when determining which pages need additional content or revisions. If visitors exit on a specific website page more frequently than others, you may need to alter the design, navigation, copy or CTAs on that page, which may encourage visitors to visit other pages or consume more content. This section has four reports that tell you how fast your site pages load and how you can increase load times. Shows average page load times by browser, country and page. Shows which pages are taking the longest to load. Shows suggestions for how to speed up website. Shows how long visitors are using the website. This section has four reports that tell you what terms people are searching for on your website. Shows data, such as Total Unique Searches, for Search Terms, Site Search Category and Start Page. Shows data for visits to the site with and without Site Search. Shows the Search Terms used and relevant data. Shows Start, Destination and Search Destination pages for searches made. If you have Site Search properly set up, these reports will allow you to track searches done in search boxes on your website. It helps you learn what your visitors want from your website and get them to the pages they want to see faster. Have I mentioned how useful this report is for blog topics? Since these searches are coming directly from your website visitors, it’s an excellent resource for content creation ideas. In order to select the best topics, you are able to sort by Total Unique Searches and other helpful metrics. 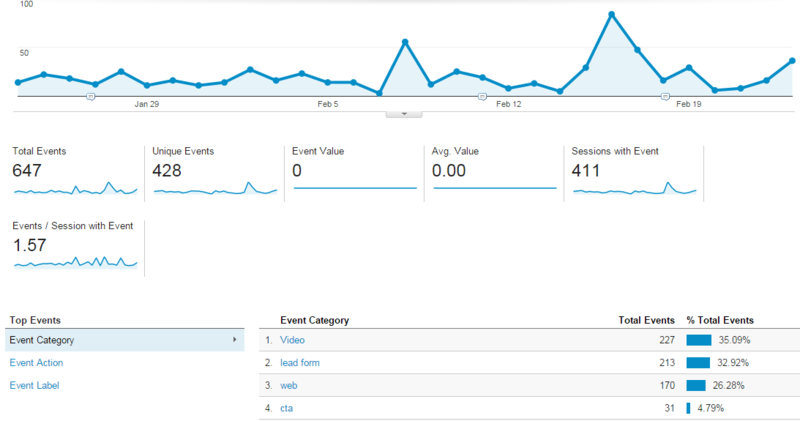 The four reports in this section tell you when and how often visitors complete custom events. Shows data, such as Total Events, for Event Category, Event Action and Event Label. Shows data, such as Total Events and Unique Events, for each Event Category. Shows Total Events, Unique Events, etc., for pages on your website. Shows the flow of events on your website, similar to the Behavior Flow report. 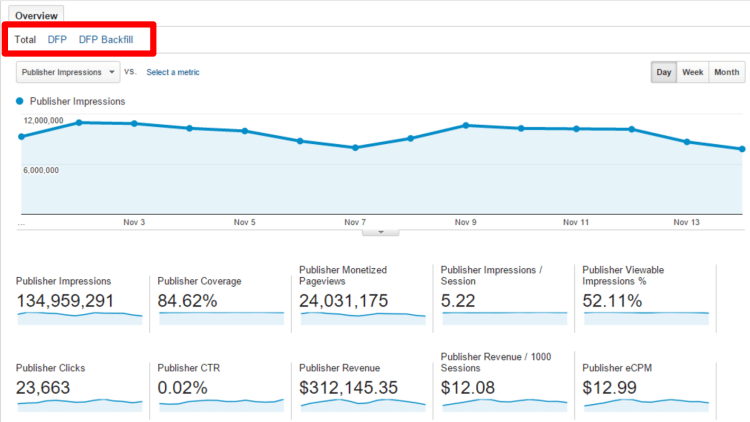 With these reports, you are able to track how users interact with your website. For example, you can identify when visitors start and stop a video to gauge how much they actually watch, rather than relying solely on click data. With third-party application integration, you can track if visitors have converted or purchased on systems off of your website. By setting your own custom events, such as CTA clicks or form conversions, you can get a deeper look into content performance and user behavior. This section has three reports that provide data about pages on your website and which ones are generating the most revenue on AdSense ads. With these reports, you are able to delve deeper into how you are making your AdSense revenue with clicks on your AdSense ads and which referrals are generating the most money. This report provides the status and session number for custom experiments. You can A/B test a landing page, form, CTAs, etc., to identify which has a higher conversion rate. 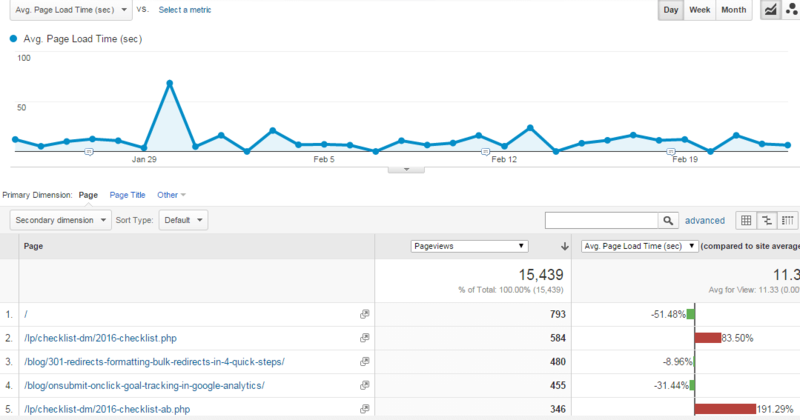 This report allows for you to see where people are clicking on your website pages within Google Analytics. Use this tool when you need to determine where your visitors are clicking or if a new design, CTA or page copy is influencing click locations. If you want to delve deeper into how to use the Behavior reports to gain the insights listed above, take a look at a new training course we just launched: Google Analytics Reports Deep-Dive: Behavior Reports. Using the Behavior reports is one of the quickest ways to discover what website visitors want from your website and how you can help convert them into leads or customers. With this data in hand, you are able to attract visitors with the right content and guide them down the paths you want. Have any questions? Comment below, or download our Digital Marketing Checklist to learn more about Google Analytics and SEO. Join over 4,000 marketers who receive actionable digital marketing insights.